Cara Rogers wants a fresh start after a slew of bad luck in Washington DC. Moving to Virginia to help her aunt run La Maison de Chien, a doggie spa, is just the peace of mind she needs. No stress. Just her aunt, the dogs, and wide-open country. But when she finds Aunt Marian floating in the doggie swimming pool, the rest she so desperately needs flies out the window. The only witness to the death is Rex, an apricot maltipoo, and while he may not be able to talk, he’s communicating the only way he knows how—one paw at a time. And Rex’s clues lead to murder. Can Cara keep the doggie spa afloat, convince Middleburg detective Cole Sampson that Aunt Marian’s death was no accident, and keep Rex from the killer’s clutches before they all end up as dead as dogs? I felt like turning right around and running back to Alexandria, but I couldn’t do that to Aunt Marian, one of my favorite people in the world. She was trying to do me a huge favor. I had moved to Middleburg to make money—I had to finish paying back what my former employees had lost from their pension savings when my accountant embezzled me dry. I’d made a start with the proceeds from selling my practice, but there was a long way yet to go. But whatever it took, I’d pay back every penny. At the same time, I was also fighting to get my license back, which the Virginia Board of Veterinary Medicine had revoked over financial irregularities. “Help!” I called out, swallowing down my horror and despair, but I didn’t know if the woman in black at the front entrance could hear me over the music playing in the background. It was piped in here, and the effect was surreal. “Can anybody hear me?” I yelled at the closed door. “Is she okay with you working today?” I asked. “Sure, it’s not like Ms. Dunlop was murdered or anything,” Aidan said. Now that I was away from the detective, I could think again, and my thoughts were racing. My great-aunt had been getting on in years, but she’d still been healthy and fit. But I wasn’t about to voice any suspicions to Felicia at this point. Not with the police still on the scene. Meanwhile, I needed to decide what to do about the spa today. Great-aunt Marian hadn’t even had a chance to train me. This was such a nightmare. I’d lost my beloved career and my livelihood, which had, in turn, exposed the fact that my long-term relationship wasn’t as strong as I’d believed. We’d both been so frantically busy—me working long hours at my Old Town practice and Luke toiling away as an associate, and then both of us socializing with his partners and potential clients—it hadn’t come to light. But when I’d most needed his support, he had turned out to be so disappointing. “Can you dry him while I go change?” I asked. Maybe she didn’t want hair on her black dress. “And where do we keep them?” I was getting chilled. “She’s usually here when I arrive, so I guess I just assumed…” Her eyes went to the view out the window, where a fall garden of peonies and cabbages ran along the front porch. “Wait. I did see her car.” She pointed to the small lot out in front, where I had parked next to my aunt’s late model Volvo. Felicia brought her gaze back to me and shook her head solemnly. I knew all too well how long it took to get a business up and running and just how quickly it could be destroyed. 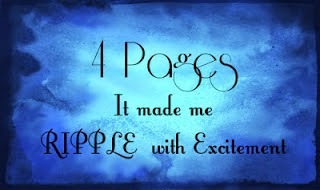 I followed his gaze up to a discreetly placed monitor and saw an SUV turn into the driveway. I crinkled my brow, curious about his comment. “That woman is always going off about something or another. Pat Collins has the temper of a roman candle,” Felicia said with quiet disdain. “Really?” I couldn’t imagine what there was to be so upset about here. It seemed so peaceful. Well. Other than the dead body. “Her schnauzer, Angela, and one of the other puppies that stays here a lot, So Baby”—I smiled at the silly name as she went on—“were wrestling in the Kindergarten Klubhouse. And So Baby took a nip of Angela’s ear.” She demonstrated with a little pinch of her fingers. Nodding, she was about to say more when the outside set of airlock doors at the front parted, followed by the inner set. I’d noticed the double sets of doors when I came in. Very cool. And practical. Aunt Marian must have had them installed to deal with dogs that are runners or escape artists. Aidan came through the doors escorting a stout, middle-aged gentleman sporting suspenders and an imperious black standard poodle. “Bon jour, Monsieur Hines et Pierre!” Felicia exclaimed in a passable French accent. The story of the angry pet parent would have to wait. I needed dry clothes, and the smock would have to do for the drive home. I had to hurry to beat the rumor mill and break the news to my mother. Aidan said he’d already called his mom. No telling how quickly word would spread. In Wardrobe, I found the supply of smocks the groomers and stylists wore. Surrounded by counselor lockers, training aids, toys, spare leashes, and office supplies, I took off my khakis and pulled a black—no surprise there—smock over my head. It ended a few inches shy of my knees. I was a little self-conscious and hoped to disappear before Detective Sampson emerged from the poolroom. Reaching into his pockets, he pulled out the gloves he’d been wearing. I was glad he was treating this seriously. If her wallet was missing, didn’t this put it into an entirely different arena? My vague stirrings of foul play were being confirmed, and I wondered, somewhat childishly, if he was going to acknowledge that. Too late. A white Loudoun County Forensics van was just pulling up in front. Detective Sampson moved with an easy grace to the double doors to direct the two male forensic techs in white that emerged. I was determined to follow, to ensure they were doing the right thing by my aunt. Despite my squeaking shoes, I was far enough behind them they couldn’t hear me through their banter. “What is this?” the taller of the two techs asked. “Among other things. The deceased was the owner.” Detective Sampson was in profile toward the men as he spoke with a strong, masculine jaw. I stopped. These men were determined to keep a professional distance from the “deceased,” as they would refer to her, and I didn’t need to get in the way of that. But weren’t they only saying what I’d been thinking when I first saw the place? Then why was I so mad about it? Having left everything that was her life behind, Cara is already a bit skiddish about what awaits her in the tiny town of Middleburg, Virgina. When she walks into her aunt's posh pooch sitting palace to find the 70-something business owner dead in the pool, and the only witness to her demise shaking in fear for his furry little life; the good doctor is convinced that she has definitely bitten off more than she can chew. Heroine Cara is a great character going through the "dog days" of her life. As such, readers really want to see her a fresh start of things with her aunt. When the idealic dream of peace and small town boredom is shattered so early in the story with yet another tragedy for Cara, there is no question that this read is going to be a good one. The sleuthing is definitely center stage for the majority of this read, with the relationship between she and the hunky Detective Sampson tying things up with a golden romantic leash. This is a very sweet, one sitting escape. 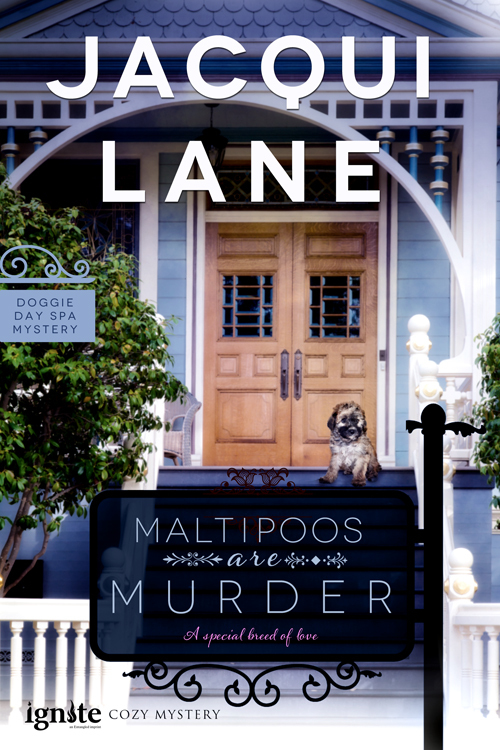 With the perfect blend of mystery, murder, and cozy magic, Malipoos Are Murder is a tail waggin' good time. Jacqueline Corcoran and Lane Stone have teamed up to write about some of their favorite topics – dogs, mysteries, and Middleburg, Virginia, which is known as the nation’s horse and hunt capital. 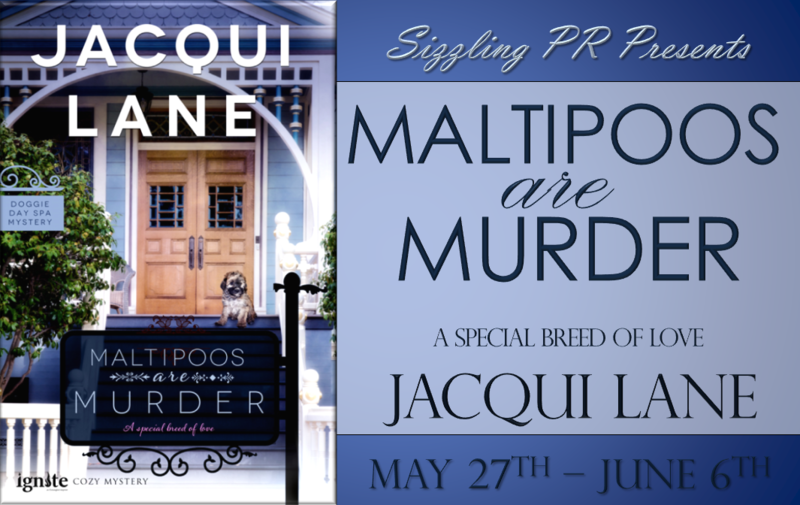 MALTIPOOS ARE MURDER is the first in their doggie day spa romantic suspense series.